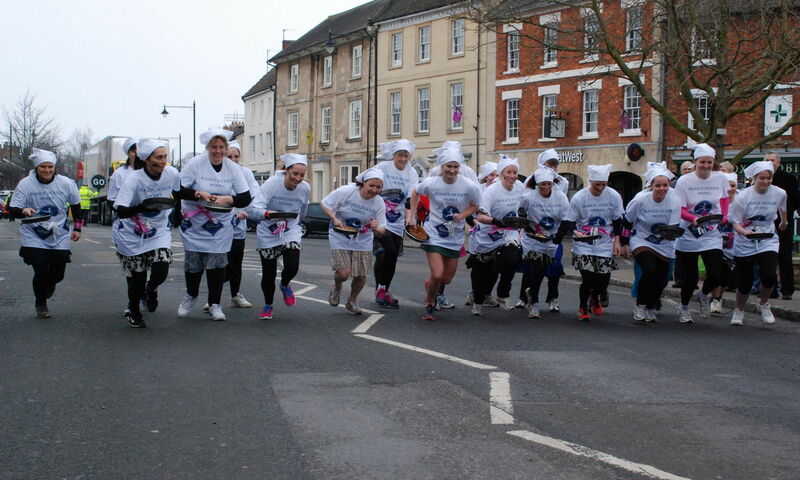 Devon Byrne, who is a member of Milton Keynes Athletic Club, won the Olney Pancake Race 2012 in a time of 58.5 seconds. Devon’s mum won the race three times in 1988, 1989 and 1993. As well as winning the Olney Race, Devon also secured a win over Liberal, Kansas USA. Their winning lady was Kaela Kruegar, age 19 who won Liberal race with a time of 68.6 seconds. Liberal still holds the record for fastest time (57.5 seconds) set in 2009 by Tasha Gallegos.